America’s best-selling midsize pickup just got a revamp, with the 2020 Toyota Tacoma getting new tech, new comfort features, and bolder styling. Revealed at the Chicago Auto Show 2019 today, the refreshed 2020 Tacoma certainly isn’t short on options and trims: in fact, there are more than 30 different configurations in total. 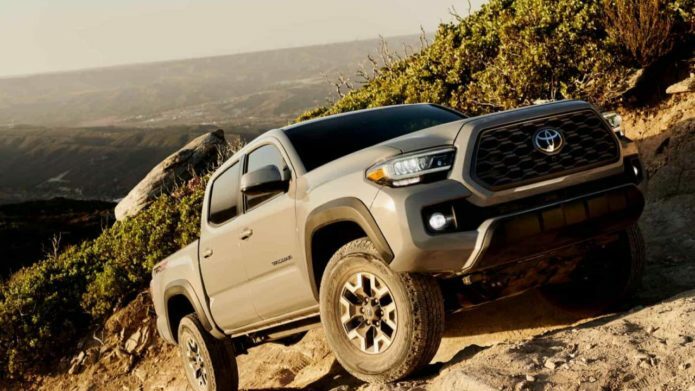 Almost all of them – from the workhorse SR through to the top-tier Limited – have new front grilles, along with new or updated wheels, Toyota says. Inside, there’s now Android Auto and Apple CarPlay, along with Amazon Alexa, as Toyota finally gets up to speed with the smartphone projection systems.